Alexandria Ocasio-Cortez is so popular that she is now winning races she didn't even enter. The 28-year-old New York progressive surprised the political world by upsetting Rep. Joe Crowley in the 14th congressional district's Democratic primary. Her grassroots campaign and radical agenda (which includes abolishing ICE), and her painting Crowley as the establishment candidate, apparently played well with voters. Her message seems to have carried over into other districts. Ocasio-Cortez was declared the winner in the 15th congressional district, which she did not even enter. She scored the W after voters wrote in her name on the Reform line. Ocasio-Cortez, who was surprised by her win in the race she actually entered, was doubly shocked by her second victory. 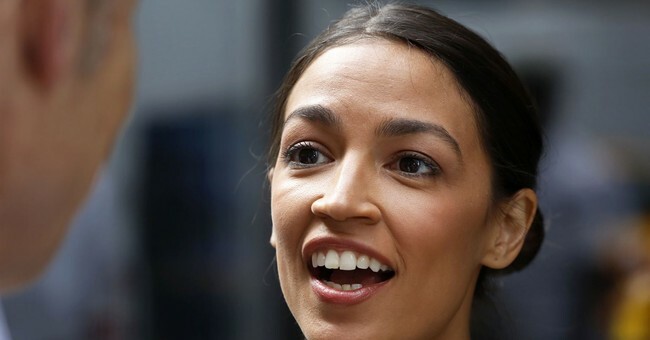 She won the contest over Bronx Rep. Jose Serrano, the New York Daily News reports, even though neither she nor Serrano were competing for the line. Of the 22 people who received write-in votes, Ocasio-Cortez's nine votes won. The city Board of Elections certified the result on Tuesday. New York law prohibits individuals from being candidates for two different offices at the same time, so Ocasio-Cortez had to respectfully decline her win in the 15th.